Sheila McRae—an actress and entertainer best remembered as the singing, full-color Alice Kramden in The Honeymooners—has died at the age of 92. From 1941 to 1967, the London-born Sheila Stephens was married to the singer Gordon MacRae. The two performed together in nightclubs and stage musicals and on TV, and also cut an album together. MacRae made her movie debut in 1950, appearing in Caged, Backfire, and Pretty Baby under her maiden name. She soon put her acting career on the back burner to concentrate on raising her four children, but through the ‘50s and early ‘60s, she occasionally made guest appearances on such TV series as The Jackie Gleason Show, The Red Skelton Hour, and I Love Lucy, where she appeared as herself in one episode. The MacRaes were separated in 1965 and officially divorced in 1967. In between, she made her first appearance as Alice on the new Jackie Gleason Show. She was the fourth actress to play Alice; the classical, canonical Alice, Audrey Meadows, had been a replacement for the blacklisted Pert Kelton, and retired from the role in 1957, but she returned in early 1966 for a special “musical” remake of the classic Honeymooners episode, “The Adoption.” (Sue Ann Langdon also played Alice twice, in the early ‘60s, in sketches on Gleason’s American Scene Magazine.) 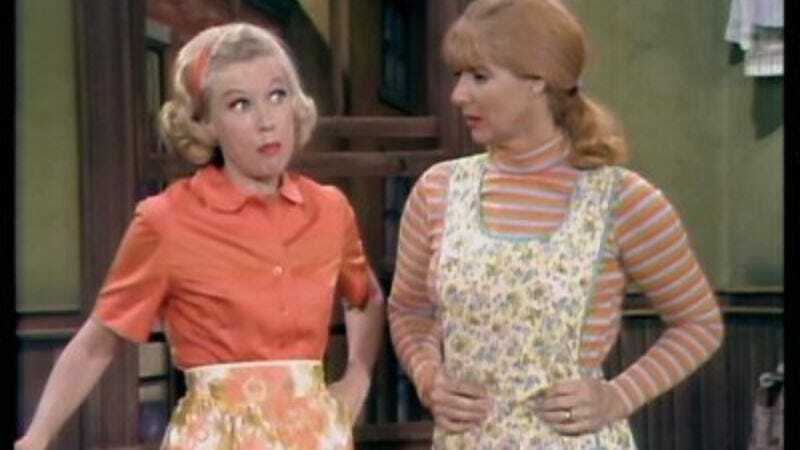 Its success led to a series of musical Honeymooners episodes, with MacRae as Alice and Jane Kean as Trixie Norton, which aired from 1966 to 1970. In 1971, she briefly hosted The Sheila MacRae Show, where she appeared with her daughters, Meredith MacRae (best known as Billie Jo on Petticoat Junction) and Heather MacRae. In 1973, she took her final turn as Alice Kramden before handing the role back to Audrey Meadows, who returned for a string of TV specials in the late ‘70s. MacRae continued to make sporadic TV appearances into the early ‘90s, the most notable being a regular role on the first, short-lived TV adaptation of the 1989 movie Parenthood, which featured young up-and-comers Leonardo DiCaprio, Thora Birch, and David Arquette. In 1992, she wrote about her struggle to hold her family together while coping with her husband’s alcoholism in her memoir, Hollywood Mother Of The Year.